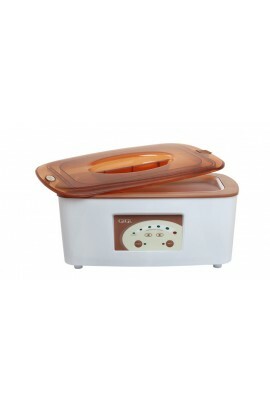 The GiGi Paraffin Bath is oversized, commercial grade and holds up to 8 lbs. of paraffin wax, allowing for full wrist and ankle coverage. It also features a precise digital temperature control, a see-through spill-resistant locking lid, and a..